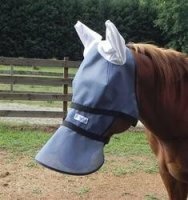 NEW California Trail Rider shade in the Full Face style, to protect your horses eyes as well as muzzle from flies or sun damage! 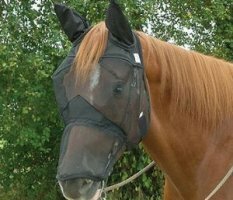 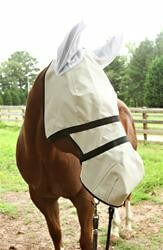 Muzzle protection scoops around nostrils to ward off insects. 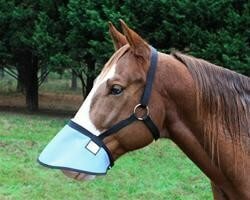 For riding in only, not for turning out.